Arunachal Pradesh’s Pema Yangchen Gyamu has qualified for an internship in the United Nation’s Food and Agriculture Organization (FAO), Rome, Italy. From Mon-Pangchen in Zemithang of Tawang district, Pema’s research interest is ‘Regional Revitalization and Rural empowerment in Arunachal Pradesh’. Having completed her MBA in Human Resource & Marketing, she joined a yearlong fellowship program by The Awaji Youth Federation in Awaji, Japan. 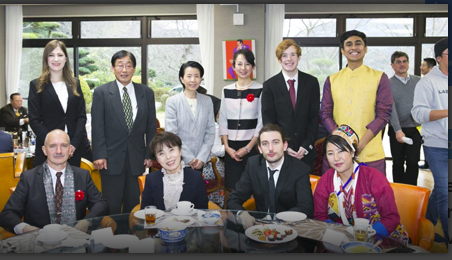 Pema Yangchen Gyamu was one amongst the three Indians who qualified for the programme. During her internship in United Nation’s FAO, she will focus on projects related to gender-linked opportunities and challenges in promoting sustainable urban and pre-urban agriculture and identify sustainable agriculture and natural resource management inputs within the framework of the FAO rural food systems strategy, reports The Arunachal Times.